Shop Our Black Friday/Cyber Monday Sale! It’s my favorite time of year! The air is crisp, we’re bundled up in fuzzy socks and cozy sweaters, and my children and I are baking up a storm! There’s just something so homey and warm about a Christmas tree and holiday lights. It makes me want to snuggle on the couch with a good … Continue reading "Shop Our Black Friday/Cyber Monday Sale!" We ran a quick weekend flash sale on our popular Family Reading Crates, but decided to extend for the rest of the week until this Friday, October 12. 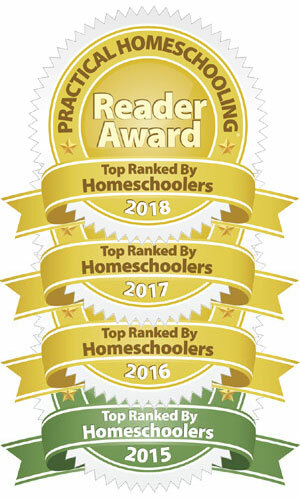 Using the discount code BOXBLOWOUT, take an additional $5.00 off all of our previously released Family Reading Crates. Pre-orders for next month’s “The Gilded Age” FRC are … Continue reading "BOXBLOWOUT Sale: $5 off April through October Family Reading Crates"
I hope that you are all having a wonderful and relaxing summer! For the last 9 months or so, I’ve been hard at work on Build Your Library’s third high school program – Level 11 – World History, Part 2, and it’s almost finished and ready to purchase! So we do not further delay our summer … Continue reading "Summer Sale Has Begun!" Spring is slow in coming to New England, but I can finally see it taking hold. The snow is melting, the air is getting warm and that sweet smell is back in the air that means Spring is right around the corner. 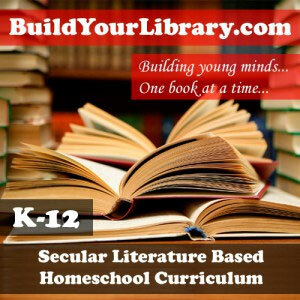 This is a time of waking up, going out into the sunshine and for homeschoolers, thinking … Continue reading "Shop the Build Your Library Spring Sale!" As a special Mother’s Day gift from me to you – I’m having a sale today! Treat yourself to next year’s curriculum, or a fun unit study to play with over the summer! Just use the code: Mother at check out to take 15% off of your order. Happy Mother’s Day from Build Your Library! … Continue reading "Mother’s Day Sale"